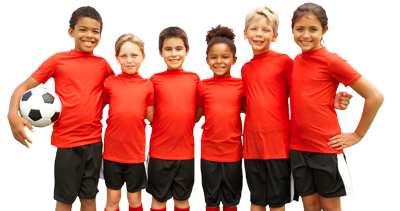 Youth soccer is a recreational soccer league. This means that some players have some soccer experience, some have none. They join a recreational team to learn soccer and to have fun. They all deserve to be on that team and are to be treated accordingly. Your task is to guide them into developing their soccer skills. You teach them to play as teammates. You demonstrate good sportsmanship behavior. You build their confidence. You, in turn, have some expectations from them: that they will participate in all drills and exercises that you set forth; they will try their best; they will treat each other as teammates; they will not disrupt your practices. At Gainesville, YSI, we aspire to create a lifetime love of the game of soccer, as well as see individual players progress and learn to play as a team. We try to teach basic soccer skills in a fun, positive environment, allowing every kid to maximize his or her potential. As a coach, your positive feedback can make a huge difference. If you have to point out mistakes, do it sandwiched in between points of encouragement and praise. Keep your attitude positive and your kids’ attitudes will also be positive. We ask that you allow each player to play half of the game. You probably have enough kids on your team for one complete rotation in and out. Don’t allow your best players to play the whole game, even If they do have the skill and stamina to do so. You are to be prompt to practices and you may not leave before all players have been picked up. Never be alone with a kid who is not your own. It is best to have one other adult or at least one other child. Do not take a child to the restroom. If he is very young, go into the restroom, check that it is empty, and then have the child go in while you stand at the door. Do not play or practice an unregistered player on your team. Shin guards are mandatory, both at the games and at all practices. Cleats are optional, especially in the younger age groups. Have each player bring an appropriate size ball (see below) and instruct each player to bring water to every game and practice. Ablostely no jewelry is allowed. Bring a first aid kit that includes ant bite medication, cotton balls and chemical ice. Have your parents check the website or the youth soccer phone line on Saturday if there is a question as to whether or not the games will be played. Individual games are not cancelled – it is all or nothing. Games will always be called due to the actual presence or real threat of lightning. Games may be called for flooded fields. As a coach, it is your decision whether or not to have practice in the rain. If it is not lightning, rain by itself can be fun (albeit slippery), and the kids usually don’t mind. YSi is a sport that revolves around relationships. Not only the relationship between you and other coaches and referees, but also you and your kids and their parents. Remember, most of them lead busy lives also and will need some encouraging words along the way as well. Speak to them and keep them informed of changes, news, etc. Encourage them to be positive and discourage them to scream at players. A kid who has a real talent will need extra practice to develop it; encourage parents or siblings to practice at home. Ask the parents to help out with a snack schedule, and help at practices by chasing down balls. Start a friendly parent-kid game occasionally. Be prepared. Have a plan before you get to practice. You can always add, delete or change your plan but at least you have something to fall back on. One of your goals during practice should be to have every kid have as many touches on a ball as possible. Try to make most of your drills on a ball. Avoid line, laps, and lectures. Don’t have your kids stay in line a lot. They do not like it. You will see behavior that disturbs the session. Split them in smaller groups, using assistant coaches to their maximal potential. Organize game activities instead of drills. Soccer is a game with periods of standing, walking, jogging, and all-out sprinting. Try to replicate this type of action. Teach the kids to use both feet equally well. Avoid long lectures. a minute of sitting down is forever, especially for a 6 or 7 year old. Give all the players an appreciation for all positions, including goalie, as long as they have practiced the position and feel conformable with it. Effective July 1, 2012, Florida Statute 943.0438 requires the parent or guardian and the youth who is participating in athletic competition or who is a candidate for an athletic team to sign and return an informed consent that explains the nature and risk of concussion and head injury (including the risk of continuing to play after a concussion or head injury) each year before participating in athletic competition or engaging in any practice, tryout, workout, or other physical activity associated with the youth’s candidacy for an athletic team. The link below give additional information. -I will never place the value of winning before the safety and welfare of all players. -I will always show respect for players, other coaches, and game officials. -I will lead by example, demonstrating fair play and sportsmanship at all times. -I will demonstrate knowledge of the rules of the game and teach these rules to my players. -I will never use abusive or insulting language. I will treat everyone with dignity. -I will not tolerate inappropriate behavior, regardless of the situation. -I will not allow the use of anabolic agents or stimulants, drugs, tobacco, or alcohol by any of my players. -I will never knowingly jeopardize the eligibility and participation of a student-athlete. -I will be the primary soccer role model. Youth have a greater need for example than criticism. -I will at all times conduct myself in a positive manner. -Coaching is motivating players to produce their best effort, inspiring players to learn and encouraging players to be winners. -Coach’s actions on the sidelines during games shall be in the spirit of “good sportsmanship” at all times. Profanity, profane gestures, arguing, inciting disruptive behavior by spectators and/or players, or any conduct not in the spirit of good sportsmanship, shall require disciplinary action from the affiliate.